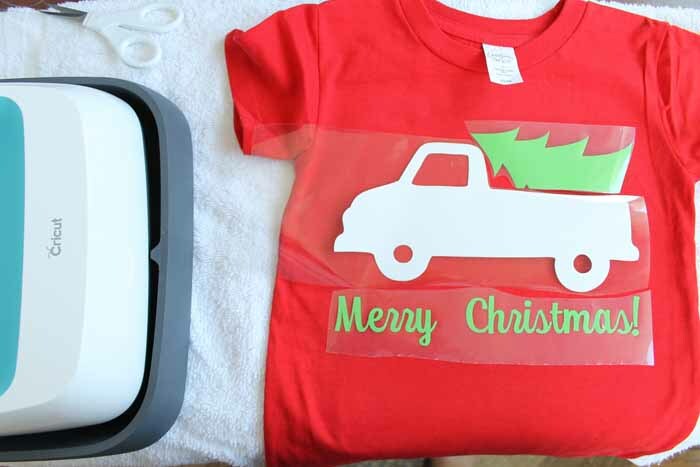 Ever tried using t shirt vinyl to create shirts? How did that go for you? I am here to say that I have never had luck using an iron with heat treat vinyl. Never. 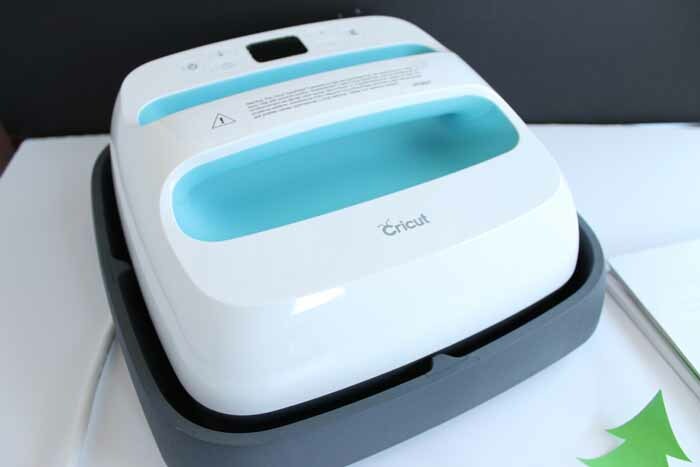 Enter the Cricut EasyPress. It has been a god send and I will now be making all the shirts. Family — you have been warned — this is what you are getting for the holidays. Are you ready to break out the t shirt vinyl and rock some shirts? Learn more below! This post is sponsored by Cricut however all projects and opinions are my own. Some links below may be affiliate links which means that you do not pay anymore however a portion of your purchase will go to support this site. Also some items below were sent to me free of charge however I always give my honest opinion. I started by opening my Cricut EasyPress. The EasyPress is the solution for us at home crafters. 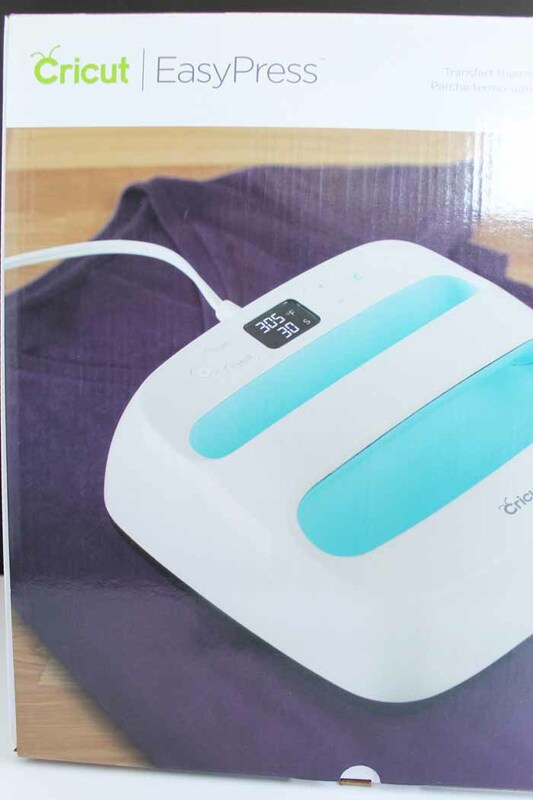 If you are looking for a heat press but not the bulky size, this machine is for you. I actually did a brief tutorial on Facebook Live with my EasyPress explaining a bit about the machine. You can watch that below. 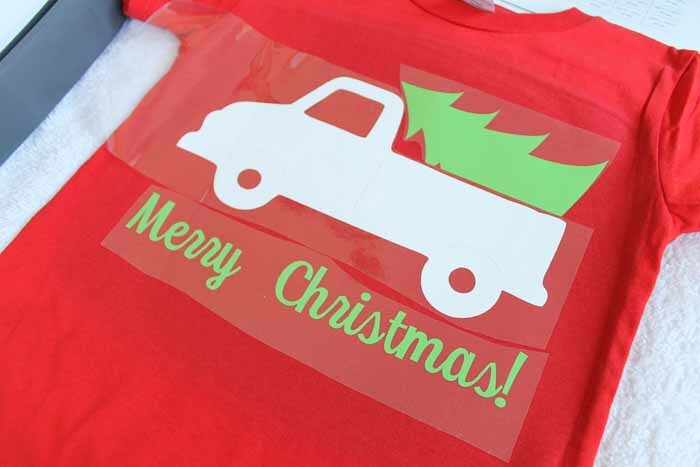 For our t shirt vinyl today, we are going to be cutting some trucks! I have two options for you. You can cut the fall version or the Christmas version. A little about the vinyl before we continue with this project. I highly recommend the Cricut brand of iron on vinyl for your project needs. I have tried several brands over the years and I must say that the Cricut brand is amazing! For projects that last, there is no other option. Also, the other thing I love is the color selection!! So you see the colors that I used for my project. 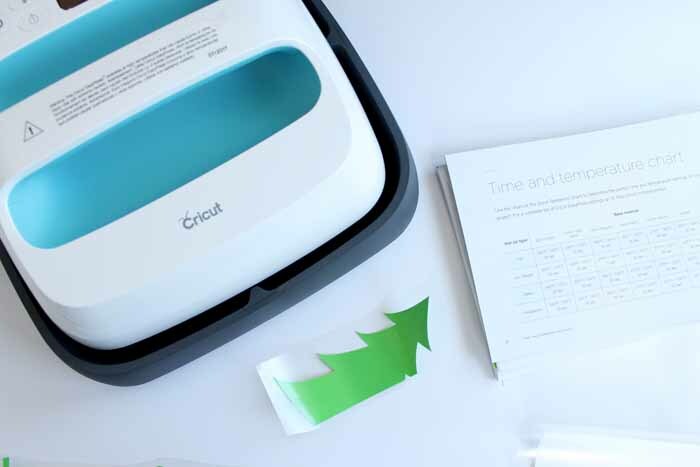 You can choose from the wide array of colors available on the Cricut site for you project. Will you use regular, holographic, glitter, foil?? The possibilities are endless! Open up the project in design space. Be sure to mirror the cuts as this is t shirt vinyl. Resize if needed to fit the front of your shirt. Cut your pieces and then use the weeding tools to remove all excess. Psst…want to use up your scraps for this project or any other? Here is an easy way to add your pieces to the scraps. Now that our pieces are all cut and ready, we are ready to break out the EasyPress. In case you missed the video above, a few words about what makes this product amazing. First of all the small size is above all my favorite feature. I have though about purchasing a heat press but could not justify the space. The second is that it is not intimidating! Basically think of this machine as a really large iron. It comes with the machine and its own base. You just use on a sturdy surface with a towel underneath. 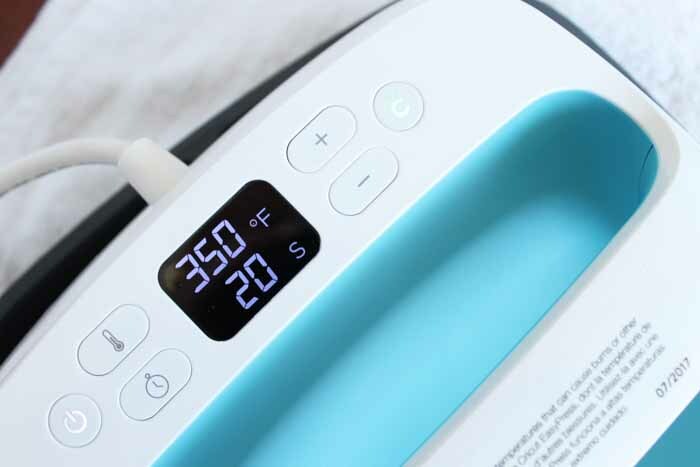 It also comes with a chart that lets you know that your time and temperature should be for your material. 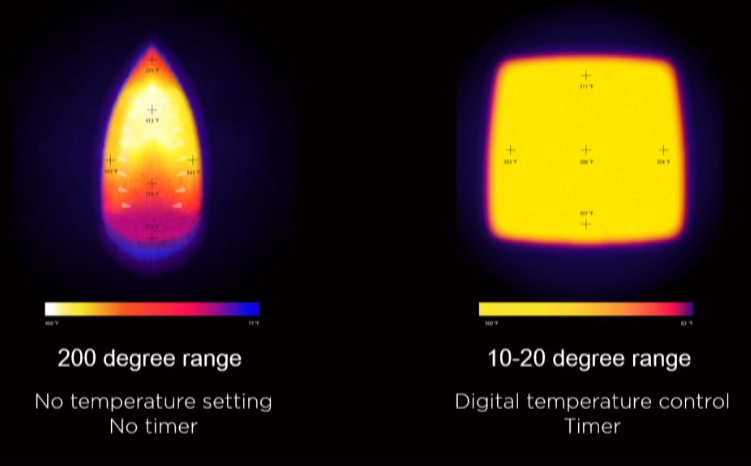 You just turn it on and use the display to set the time and temperature desired. The machine will then heat up. And boy does it heat up! I thought the graphic below represented it best. This was my “aha” moment. The moment I realized why my iron never works right for me. You see the iron on the left and the hot and cold spots. Then you see the Cricut EasyPress on the right with even heating. No wonder my t shirt vinyl would never stick or last very long! So, I set my time and temperature on the display. The EasyPress also heats up really fast! I have seen comparisons with a standard heat press in a variety of models and the EasyPress beat them every single time. It will beep to let you know it is ready as well. Start by using the EasyPress on the shirt itself before any vinyl is added. 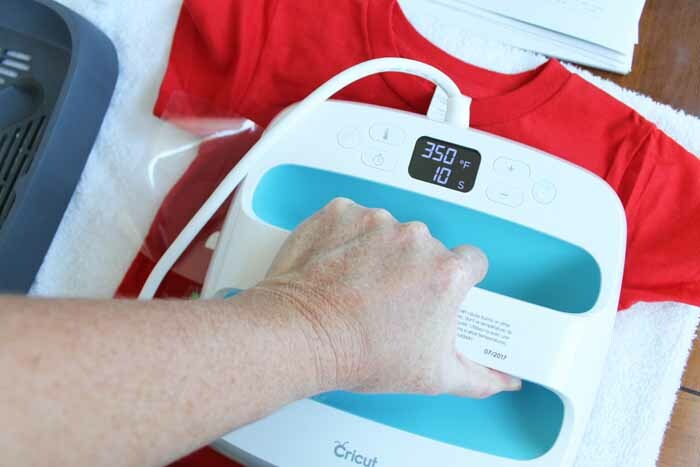 Smooth out any wrinkles with the machine. This will also heat up the surface just a little. This should only be done for a few seconds. Then just position your vinyl on the shirt with the carrier sheet up as shown below. Then you just put your EasyPress right on top, hit the button to start your countdown, and give it some pressure on the handle. This pressure does not have to be extreme. Just press down while it is working. As you can see, my design is a little too large and the EasyPress will not cover it in one press. THAT IS OKAY! When it is done with the first press, it will beep. Then just move it over to the other portion of your design, press the button again, and repeat the heating. It is okay to overlap during this process and heat some areas for more time. Finally, the EasyPress instructions recommend flipping your item over and pressing from the backside as well. Repeat the same process of heating and pressing down but from the back. Then allow your entire design to cool before trying to remove that top sheet. 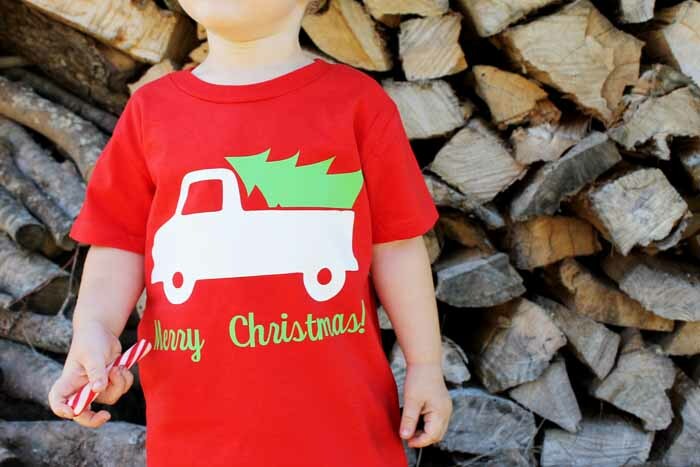 Peel back that sheet once cool and you are left with an awesome shirt that you made yourself. You can put it on a little model to really show them off. 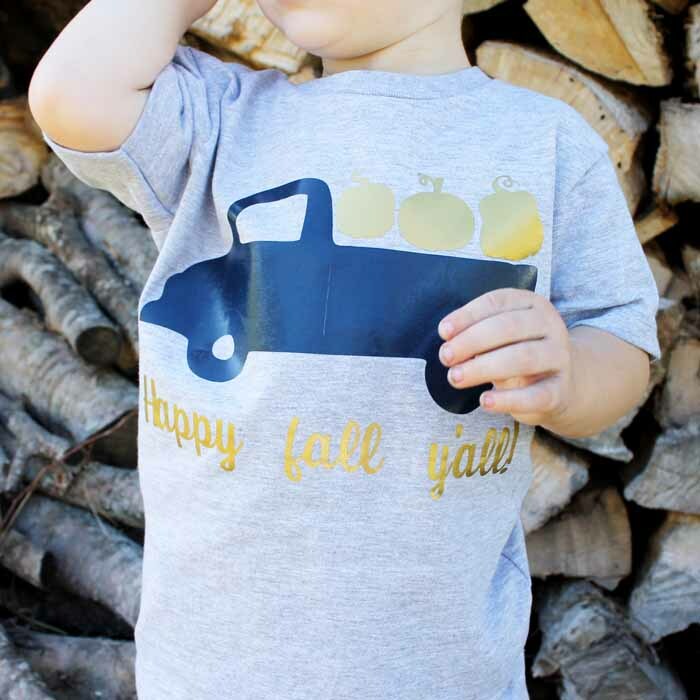 I love the unexpected navy and gold combo of the fall shirt but you could go more traditional with some oranges and browns. Remember with Cricut Iron On you can basically pick the colors that will make your design your own. I put the Christmas version on a red shirt so I went with white and green for my vinyl selections. Again, vary your t shirt vinyl selections to make a shirt that is all your own. Then give them away or keep them for yourself! 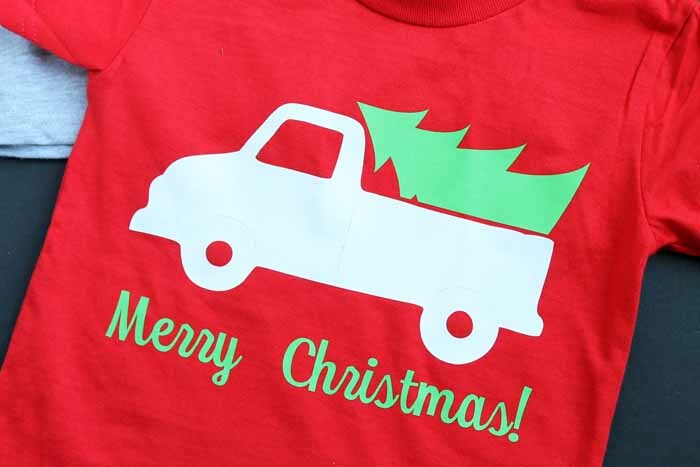 Now that you know the Cricut EasyPress is the best way to make a shirt that lasts, you will be making them for every holiday and occasion. I know I will be! 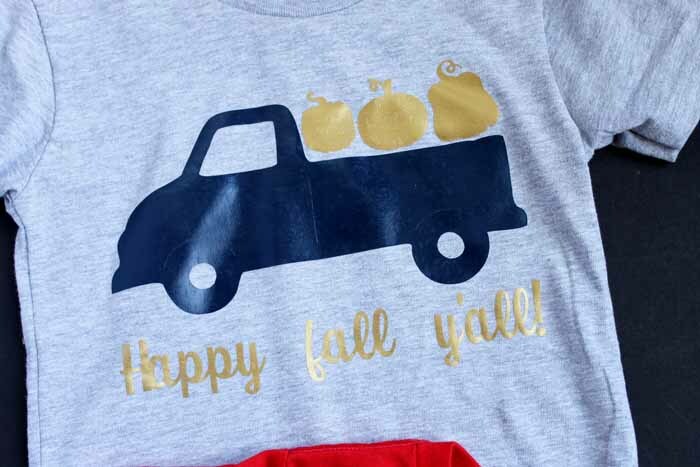 Use our designs or create one of your own in Cricut Design Space. 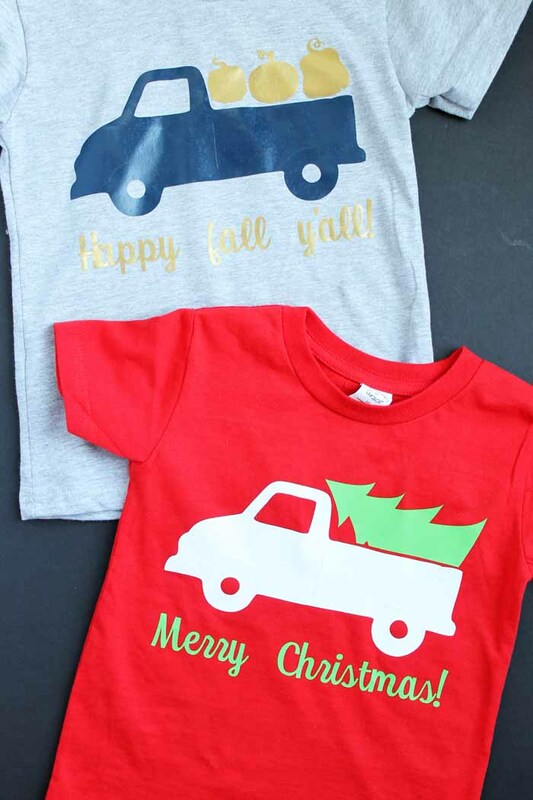 Either way, I know you will love the results from the Cricut EasyPress as much as I do. I can now actually use t shirt vinyl in more projects. I swear I have never had luck with my iron and using the product. Never!! This is a game changer for me and has my head spinning with all sorts of project ideas! So, y’all stay tuned as I am sure there is more projects like this coming soon! 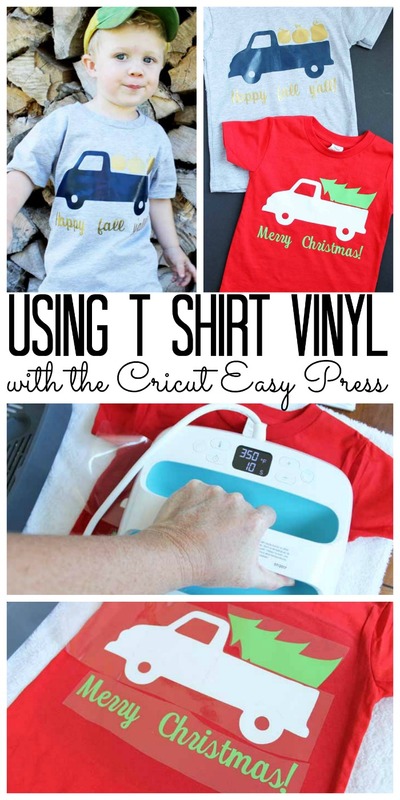 Pick up some t shirt vinyl and a Cricut EasyPress to make all the things! 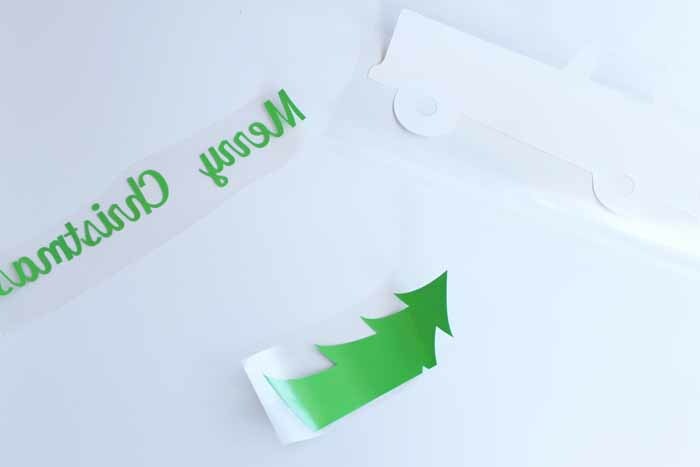 Love this project and want more ideas with your Cricut? Try the links below! I see you used the Cricuit Maker. Can you cut iron on vinyl with the Explore as well? I just saw these in stores and wondered how well they worked. Thanks for the review! Wow! Love how this turned out. Every time a new Cricut product (new for me, anyway), it makes me want to give the Cricut a try. It seems there is a lot of versatility in this line of product. Very cool! 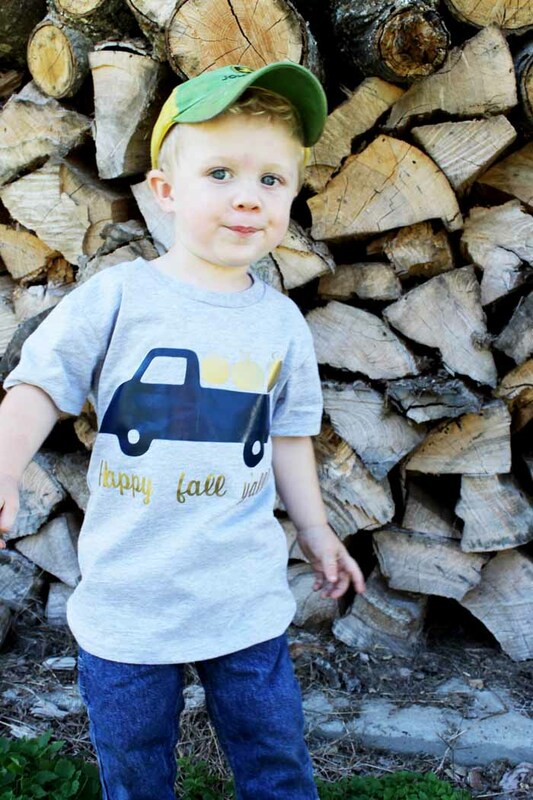 Thanks so much for linking up such an adorable craft at The Pretty Pintastic Party! We love it so much we’ll be featuring it at this weekend’s party! I hope you’ll stop by, grab a featured badge, and link up some more amazing posts! I want the EasyPress so bad! I love how much easier it makes these projects. 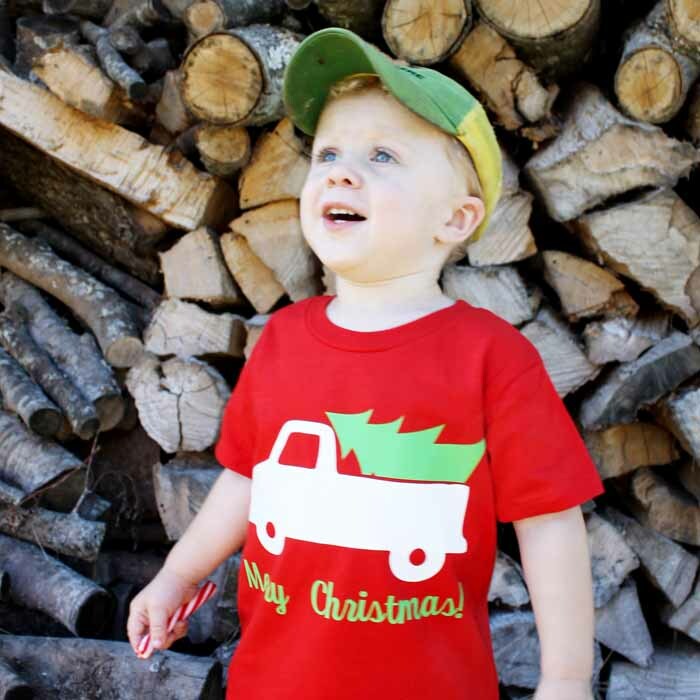 Thanks for sharing your review and DIY with us at Merry Monday this week! They are for the Cricut machine and the designs are linked in the supply link in the post. Happy crafting!